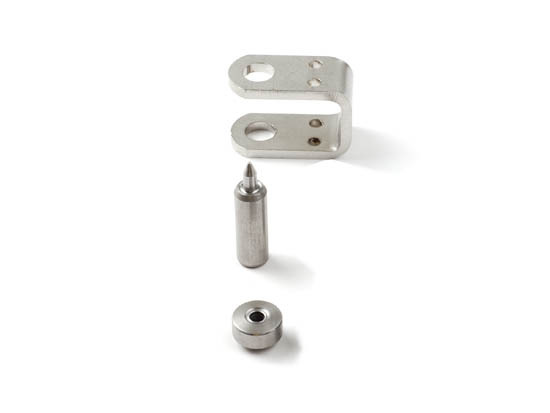 Stainless steel die guide used as a low cost alternative to the kydex rivet press. Guide comes with heat treated stainless steel 1/4" Flaring die set for setting 8-9 (1/4") Kydex rivets. Also available as a 3/16" set here.